The best and most reliable ownCloud server release ever. While our community is already working with the lately released ownCloud X version, today also the Enterprise Edition is final. For you as our community users this means, that this release will bring back the full LDAP-functionality together with new search features inside LDAP. We are very proud of this release and a big shout-out goes to all the contributors that made this release possible. 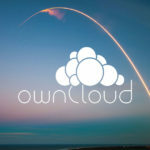 ownCloud X now marks a new era for ownCloud development. As we are saying goodbye to a waterfall based engineering process and now follow a more agile path, we will be able to develop quicker with even better code. As you might have noticed we have built the ownCloud marketplace, and untangled most of the ownCloud application extensions from core. The core is and will be what it always was: The reliable and robust server for secure and private file-sync and share. All other Features are now optional via the marketplace. The now lightweight core ensures that maintenance is easier, and you don’t waste valuable system resources on apps and functionalities you don’t want running. From now on it is a lot easier for developers and contributors to create own customized applications and features. This means that new features and applications can now be developed quicker not just by the ownCloud developers but also by you. The application extensions are now nicely separated from the file syncing core and your application or feature can be developed from a “clean” code base with well documented APIS. Some minor fixes for calendar and contact apps which meanwhile had to be tackled manually are included as well. We really appreciated the large number of downloads and the fast adoption for ownCloud X and thankfully accepted that you shared some issues with us, that we now fixed. The former Files Drop App is now included as a core functionality and is now fully integrated. To use sharing restriction and guest app side by side we created a new feature to restrict username autocompletion to group membership. A feature that esp. admins will like is that email verification is disabled for addresses they enter to avoid mailbounces. ownCloud X is more than just the server component. For successful file, sync and share solutions you need also the work on the client side. ownCloud X and the corresponding clients ensure that your server is accessible from all clients no matter what OS they run on, or at from where you access your server. Stay tuned for our new releases: server apps, mobile and desktop clients: exiting stuff is coming up! ownCloud X now marks a new era for ownCloud development. As we are saying goodbye to a waterfall based engineering process and now follow a more agile path, we will be able to develop quicker with even better code. this is true now enjoy the new update..